Making a movie without a huge budget creates certain challenges, as anyone who has worked independently can no doubt attest to. Yet whether it’s work on a short piece, a feature length film or a short documentary, creativity eclipses expensive CGI and big-name actors. That’s where these indie filmmaker tips come in. Ingenuity reigns supreme in the world of independent film just as much today as ever. Yet modern filmmakers face both new challenges and new opportunities with the proliferation of the internet and social media. In the past, independent filmmakers worked in an extremely niche market where advertising was virtually non-existent and word only traveled as far as a shout. Whether you’ve made films in the past or are just getting started, here are some tips that may help aid in your success. Each day we’re constantly bombarded with the next “thing” that’s gone viral. It could be a video of a cat playing the keyboard, a politician tweeting something stupid or news of a major corporate hack. Whatever it is, it’s big news. That’s because “word of mouth” has changed its meaning incredibly on the net. That also means if you want your films to really take off, people need to know about it. You, or someone you hire, will need to actively promote the film online by posting on social media, sharing previews and regularly interacting with people. Film festivals will remain an important way to build notoriety for independent films, but access to viewers is considerably easier on the net. Consider offering your product on streaming services where viewers can find it organically. The more recognized your work becomes, the easier it is to find additional opportunities. It may come as a surprise to hear that some of the top filmmakers still have yet to figure out that there is such a thing as too much. 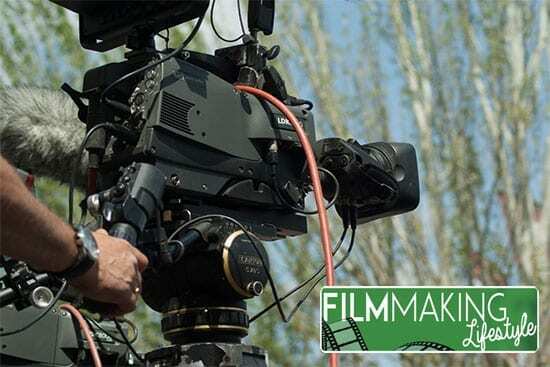 Filmmakers also fall victim to the allure of adding just a bit more to the top, but the reality is that holding something back can actually be more exciting to viewers. One of my favorite examples is Pennywise the Clown from Stephen King’s “It.” As a character, he really doesn’t do much. He’s not seen stabbing anyone to death and he doesn’t set people on fire. All he really does is talk and look scary. Yet, there’s that anticipation of what he might do. He’s a terrifying clown set to creepy music, and that alone is enough. Trying to take things too far, whether or not you have the special effects available, just gets you a Michael Bay production. Sure, there are a lot of flashy effects and things happening on screen, but there’s no longer any anticipation. Everything is out in the open and it’s just boring to most viewers. This leads us to the biggest key of all. While no doubt easier said than done, the plot behind any film is absolutely critical. No matter how good your actors are or how great the movie looks, a poorly written screenplay will ruin your project. Remember what happened to the Star Wars prequels? Despite being a highly anticipated series with an incredible budget, A-list actors, amazing CGI and an endlessly devoted fan-base, the writing was just terrible. Hayden Christensen was delivered a terrible injustice, forced to read off of an inept script in some of the most poorly written “epic” scenes of all time. The script isn’t nearly as expensive as many other parts of a film. Yet it’s what gets the audience to care about characters that, outside their element, would be incredibly dull. It’s why Batman is still interesting to most people after multiple iterations of what is basically the same story. Supposing you’ve got a great idea or already have a film ready to go, it pays to be ready for another. Although you may not be able to begin allotting tons of funding towards a sequel, you should start working on it from the moment you know the first is going to be a hit. Fans love sequels, but that fire of interest can quickly go out. There is such a thing as riding the sequel train too far, though. The Jaws franchise ran into a serious case of sequelitis, with each sequel just getting worse over time. The same was true of the “Friday the 13th” franchise and the “Nightmare on Elm Street” series. Recruiting new talent can be expensive. You can potentially save a lot of money hiring these new workers that have the skills, but lack the experience. If you’re just starting out yourself it may pay to partner up instead. Be mindful that your new team members may not be familiar with how the trade works in the real world. It’s possible they’ve never been to a film festival. You’ll need to bring them up to speed and you’ll have to decide if you can spare that time. The time invested to train and instruct your team will be returned by getting exactly what you want rather than exactly what you paid for. If your films are doing well, you should expect that some people are going to view them without paying. While you’ll certainly miss the money, you do get a silver lining in the fact that your work is reaching a wider audience. If they like what they see, word will spread. Frankly, it isn’t worth pursuing charges for piracy in most circumstances. It can be difficult to track down the culprits, as they might be accessing the net anonymously with a proxy or Virtual Private Network (VPN). Even when you take down a torrent, five more will spring up in its place. Think of it as free advertising and remember that people prefer to get things the legitimate way if it isn’t too inconvenient. Make sure your film isn’t too hard to reach legally. Excessive costs and limited distribution drive people away from doing things the legal way. Quantifying exactly what the “it” is that makes a film truly great is difficult. Changing cultural trends and fads will always play a part in determining public interest of any type of film, independent or otherwise. At the end of the day, you just need to go out there and get to work. Seek out creative inspiration, consult with your peers and go for it. I hope you’re found these indie filmmaker tips helpful! Independent films are difficult to make but produce rewarding results. Yet you might have additional ideas for your fellow filmmakers that you’d like to share. 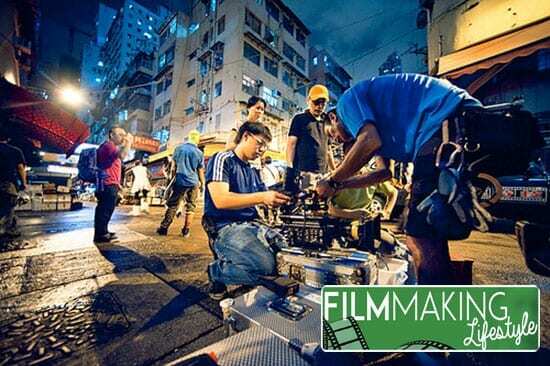 If you have experience making your own films, share with us any wisdom you have in the comments! About the Author: Cassie is an avid cinephile and a fan of films both mainstream and independent. She spends a good amount of time blogging on Culture Coverage about topics such as internet security and pop culture. Thank you for writing this article. I’m always looking for me information to hep enable me to get my films off the ground! Awesome, Bob. Glad to be of service! Hey, always willing to support worthy projects. Let me know the details. Drop me a message using the contact form above. Good stuff, Max – I’ll respond to your email. is it possible to become a filmmaker with no money and zero startup money? It sure is! Although hard. You don’t need crazy amounts of startup seed money. But…you do need SOME money. Just to get started. You can rent gear and equipment that you need in order to keep costs down. Thanks for the great tips guys. I’m glad you put emphasis on writing, I couldn’t agree more, writing is certainly everything. It’s a great reminder for us to always put the story and characters wants and needs over trying to show cool locations or flashy camera techniques. Thanks again. Writing is indeed the root of storytelling. Starting from that is a great way to plant the foundations of success.